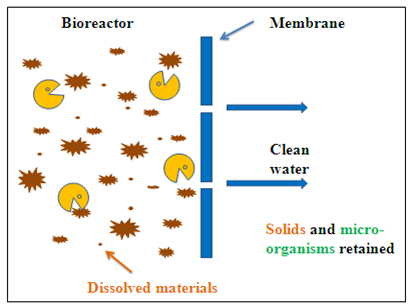 Membrane bioreactor (MBR) technology is a combination of the conventional biological sludge process, a wastewater treatment process characterised by a suspended growth of biomass, with a micro- or ultrafiltration membrane system. The biological unit is responsible for the biodegradation of the waste compounds and the membrane module for the physical separation of the treated water from the mixed liquor. 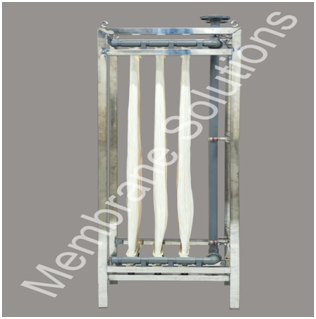 MS membrane has better effluent quality, therefore the treated water can be reused directly. 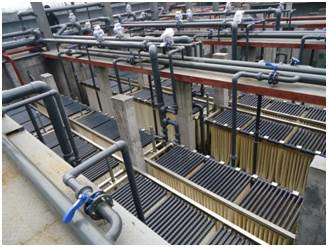 MS membrane has low rate of sludge production, so it can reduce the cost of sludge processing. MS membrane only needs simple cleaning. MS membrane has effective and high removal rate of ammonia, nitrogen and refractory organic compounds. Membrane bioreactor technology has great potential in wide ranging applications including municipal and industrial wastewater treatment and process water recycling. Municipal sewage treatment and reuse. Industrial wastewater treatment and reuse.